So Joe Biden walked into the Detroit Auto Show, said some stuff and did some stuff. Then some photos were taken and you captioned them. This should end well. The man who said "bin Laden is dead and General Motors is alive" saw just how alive GM and the other automakers are today with a walk around the show floor. 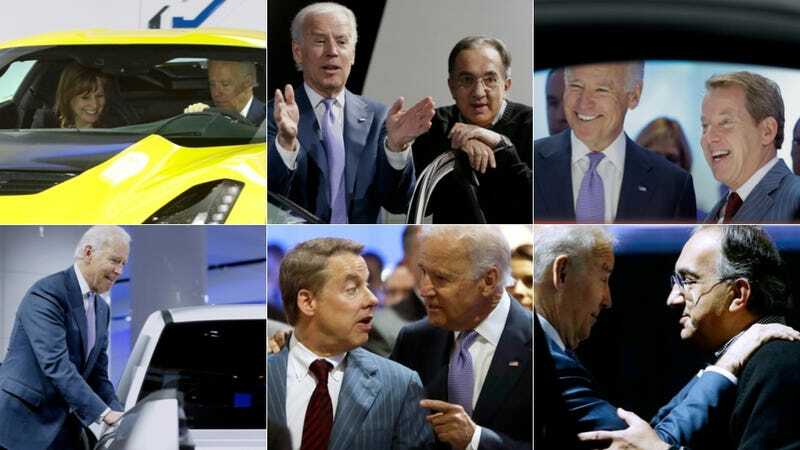 Especially when he and GM CEO Mary Barra were in the C7, you really wonder what Biden and the execs were talking about. "Back in my day, we used to dragon the fuel tank." "is that a trans am? no."